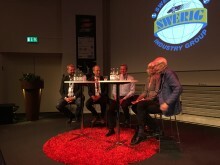 The aviation and space flight industry is growing both in Sweden and globally. Within the next 20 years it is predicted that some 20,000 new airplanes will be built around the world, and the space flight industry is growing with new services for communication, positioning and Earth observation. This development brings with it new business opportunities for Swedish suppliers. Sustainable materials and 3D printing are now becoming a significant presence in vehicle manufacturers’ production chains. It is a transformation that has barely begun, says German innovation guru Dr Sascha Peters. Reliable and fast with high quality. 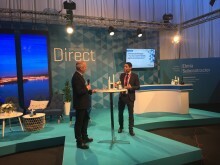 Swedish suppliers are popular among European purchasers, who find what they’re looking for at matched business meetings at Subcontractor Connect. 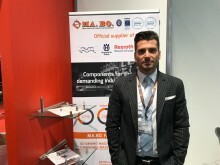 That’s the conclusion of Atis Bogdans, procurement manager at the Latvian company Ceram Optec, who found three new suppliers at Elmia Subcontractor 2017. 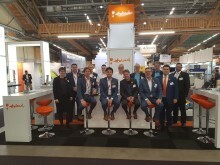 Subcontractor IoT Arena is back on the trade fair floor with new, exciting IoT cases to inspire visitors. 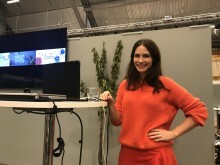 Last year’s successful event has been developed and expanded, with the aim of giving manufacturing companies concrete ideas about how to digitalise their products for a smarter future. It began in 2012 as a small-scale research project. Today it is a rapidly growing environmental venture. All thanks to ordinary hemp. 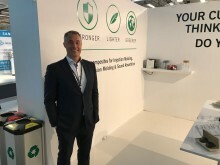 “Using natural fibre as reinforcement instead of glass fibre and carbon fibre is both strong and environmentally sound,” explains Jeremiah Dutton of Trifilon, exhibitor at Elmia Subcontractor for the first time. 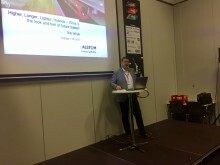 Rob Whyte has relatively recently become Managing Director of Alstom in the Nordic region. Is building a high-speed rail line in Sweden the solution to every problem? That somewhat pointed question was discussed at the key seminar “High-speed railways – do they solve the problems?” The panel’s answer? They don’t solve everything but they help a lot. A good safety barrier can save lives. During Elmia Nordic Road you have the chance to watch unique crash tests live – right on the fairgrounds. 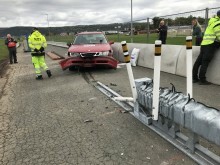 “The maintenance of Sweden’s road safety barriers is in a neglected state,” says Anders Hamrin, sales manager at Nordic Road Safety.